The summer season is finally closing upon us. With its coming, most of the pool owners around my neighborhood are lifting their pool covers for a dip in the swimming pool for exercises, relaxation and fun. Most of the people consider swimming to be a low cost activity and fun way to spend their summer. Heating your swimming pool either by electrical or gas means is more energy consuming and expensive than do the same using a solar heater. Apart from this, it is a more eco-friendly way to keep your pool heated. Though the sun is not always as reliable as mechanical heaters, it is far better for the environment and the owner’s budget. The majority of pool owners utilize chlorine to sanitize the water and hence making sure it is safe for swimming. Most of them forget that there are many other all natural and non-chemical options to pool sanitization. Ionic pool cleaners, saltwater systems and sonic wave cleaning systems provide extremely efficient sanitation option to pool owners. Best of all, there are fewer health risks associated with these non-traditional pool sanitization options compared to the use of chlorine and other synthetic pool cleaning agents. Backwashing a pool’s filter ensures that it releases dirty, a number of pool water flushes and contaminated filter matter before it could be reloaded with new filter matter or it could continue with its cleaning tasks. Instead of draining the dirty water or filter matter onto the ground near the pool, simply attach a hose and direct this seemingly dirty liquid into a bucket and gradually re-introduce it back to the pool. Have the remaining sludge correctly discarded according to local regulations. Chemical shock treatments for pools are not the best quick fixes as they are promoted to be by their makers. They often create water balance issues in a given pool. While an initial shock treatment is sometimes necessary, conventional balancing is the better option in the long run. The usage of more than is needed stabilizers and balancers in a pool requires that you add extra chemicals to decrease the effects of the chemical additives. This allows debris and sediments to settle to the bottom of the pool in more natural way. 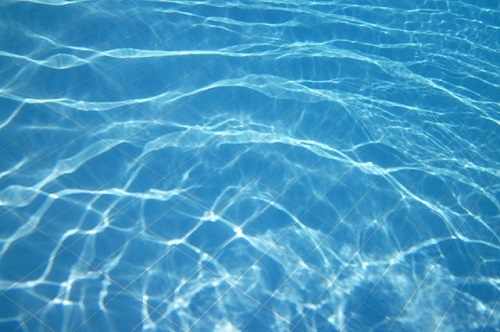 Perform some daily sweeping in your pool routine to take care of the said debris. Turning off the pump lowers the energy needed to operate the pool. This has no or too little impact to the overall enjoyment of the pool.